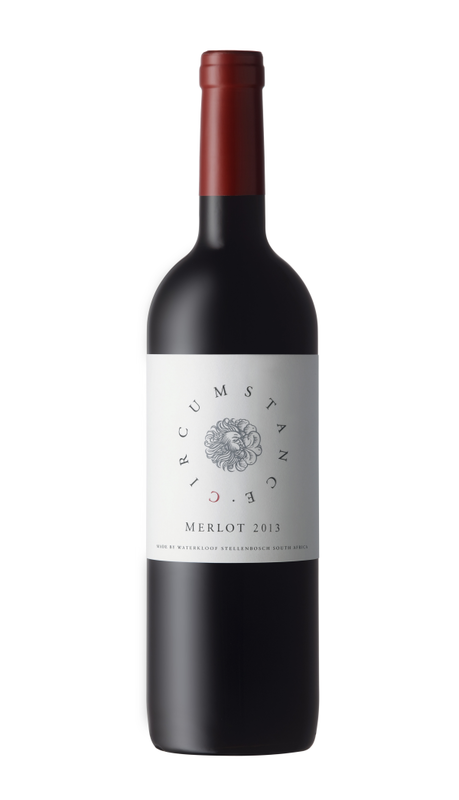 Once regarded as Cabernet Sauvignon’s lesser sidekick, Merlot is now considered its equal by many. Little is known about the origin of the varietal but is has been cultivated in Bordeaux since the 18th century. 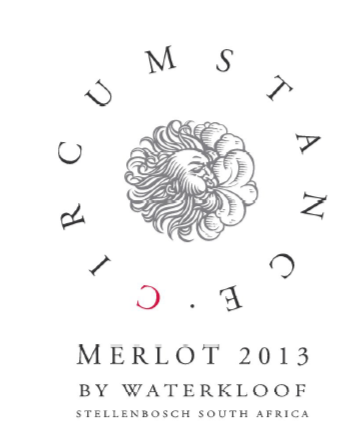 The block used for our Circumstance Merlot is planted on the south-west facing slopes of the Schapenberg, at an altitude of 240 to 260 meters above sea level, and a mere 4 km from The Atlantic Ocean. Strong south-easterly winds help control growth and crop yield. Soils are of sandstone origin with medium size stones, helping with both drainage and moisture retention. Production was approximately 6 tons/ha. At Waterkloof we pride ourselves in not spraying any chemical herbicides or pesticides in our vineyards. We produce our own compost and biodynamic preparations, which we then apply by using our Percheron horses, as opposed to heavy tractors. These practices ensure loose soil with more life, where the vines can spread their roots as they please; taking up everything they need from our rich and complex earth. We believe that biodynamic farming leads to terroir-driven wines, which are truly made in the vineyard. We harvest according to taste and find it essential to spend a lot of time in the vineyards to see how the flavours develop. Grapes were destemmed, hand sorted and placed into our open-top wooden fermenters via gravity. The natural fermentation started spontaneously by utilising the wild yeasts present on the fruit. Punch downs (twice a day) were used during fermentation to ensure a soft, slow colour and tannin extraction. The wines spent 30 days on the skins to help integrate the tannins and stabilise the colour. The skins were separated from the juice through a gentle basket pressing. The wine went through malolactic fermentation in barrel and was then aged in new (20%), second and third fill (80%) French barrels for 15 months. We then aged the wine for another year in our wooden fermenters to ensure a wine with silky soft tannins. The wine received no fining, which allowed the grape to be purely expressed in the wine. Only sulphur was added and no other additions, such as tartaric acid or enzymes were allowed. Ideal weather conditions during the harvest season – moderate day temperatures, cool night temperatures and no prolonged rain and heat waves – had a positive impact on wine grape quality and establishing good colour in the reds and lovely acidity in the whites with balanced flavours. The grapes were healthy with a bit of rot occurring later in the season. Light cassis, sour plums and some floral aromas greet and entice the nose. Elegant, bright acidity with juicy fruit on the palate. Great length with fine tannins on the finish. Pairs well with duck and lamb dishes.